Porridge from Tiong Shian Porridge Centre. Not exactly what I came for but it’s okay. Porridge is a nice change. Mummy! I cooked something for you! Make you feel better! Me: Wow! Wat is it? Me: Mmm! Very nice! Wat abt this? Xan: This is strawberry pie! This one vanilla and vegetable pizza! This one (looked like a pie to me) is chocolate ice-cream! After finishing the meal, he took his stethoscope and check my belly to assess my progress. Me: Yes! Thank you Doctor! You the best doctor ever! Big hugs & kisses follow. Can you imagine if this really happens to you? Neither can I. Phew! Nong nong ago, a friend asked if I wanted to earn some extra cash designing marketing materials for the cafe she was working at. Without hesitation, I said yes and made an appointment to meet the owner to discuss about the event she was planning and what she needed from me. Here’s the messy bit. Don’t worry if you get confused. It’s a normal reaction I get when I tell the story to new friends. My then best friend dated a guy K for a bit, then they broke up. Much to her dismay, K and I hooked up but we didn’t last very long. Cold War #1 between my best friend and I however, lasted about 4yrs. After we started talking again, she somehow also started to work at the cafe after my assignment during school vacations. Sparks flew between her and my ex who was a regular customer. Then they broke up. Then she had a rebound with Young Master which lasted for about 2 years, then they broke up. During their relationship, I was in Canada trying to get my BA and was nursing a broken heart. In the days before Facebook, I was in close contact with my friends including Young Master via ICQ. Young Master and I were already friends to begin and we shared many interests. Naturally with time, we grew closer and became very good friends. When I came back to Singapore for good, we decided to take the next step and got married 3 years later. Of course my best friend AND the rest of the girls in the group were upset. 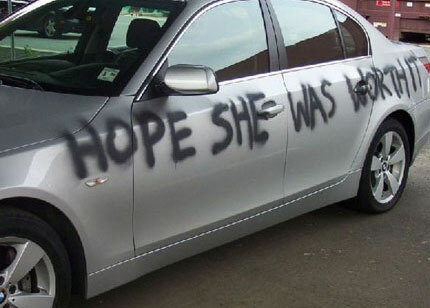 Never date your best friend’s ex… AGAIN! Cold war #2, 8 years. Didn’t matter to me anymore. It’s unfortunate that my bestie and I share the same taste for many things. Hey, think of it this way. I’m taking in rejects! At least now I know what friendship meant to the girls. They decided hating me was their way of showing support to my bestie. Peace to you too. Now that we are back on talking terms, my bestie and I, she decided to slowly introduce the group back into the mix. Sure I’ll talk to you, sit next to you and even laugh with (actually, at) you. Make no mistake. Should you ever faint, kenah robbed or even stabbed right in front of me, I will do what you did to me. I’ll walk on by. You left me for dead, why would I want to save you now?